How much is Faith Evans Worth? Faith Evans net worth: Faith Evans is an American singer-songwriter, record producer, actress, and author who has a net worth of $9 million. 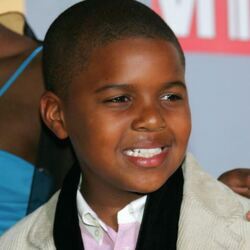 Faith Renee Evans was born in Lakeland, FL in June 1973. Faith was raised in New Jersey but moved to Los Angeles to pursue a career in music in 1993. She did some background vocals for artists Christopher Williams and Al B. Sure, before becoming the first female artist to sign with Puff Daddy's Bad Boy Entertainment in 1994. During that time she collaborated with label mates Mary J. Blige and Carl Thomas. She released three platinum albums from 1995 to 2001. In 2003 she joined Capitol Records and released The First Lady in 2005. That album reached the top of the charts for R&B/Hip-Hop Albums. 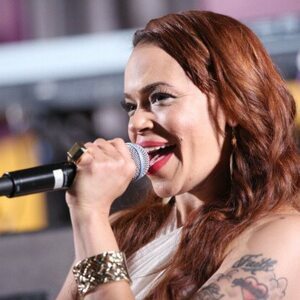 Faith Evans is also known as the widow of The Notorious B.I.G. (Christopher Wallace). She recorded a tribute song "I'll Be Missing You" along with Puff Daddy and 112. The song won Evans a Grammy Award in 1998. It also reached #1 on the Billboard Hot 100 and US R&B charts as well as in the UK, New Zealand, Australia, and the Netherlands. She made her on screen debut in Turn It Up in 2000. In 2008 Evans wrote an autobiography titled Keep The Faith: A Memoir. The book won the 2009 African American Literary Award for Best Biography. 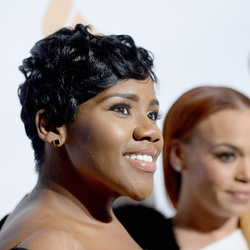 In 2012 she became a member of the reality show R&B Divas Atlanta. Evans has also released the albums Something About Faith in 2010, Incomparable in 2014, and The King & I in 2017. Evans had a #1 song on the US Dance Club songs chart with "Mesmerized". She was also featured on the #1 singles "One More Chance" by The Notorious B.I.G. and "Heartbreak Hotel" by Whitney Houston featuring Kelly Price. Evans has also appeared in episodes of the TV series R&B Divas: Los Angeles, Real Husbands of Hollywood, Love & Hip-Hop: Atlanta, Rupaul's Drag Race, Marvel's Luke Cage, and more.